Now that the season is getting colder and the air is getting drier, you may be grabbing more moisturizers off the shelves at your local market. During the colder months, it is common for skin to get drier, redder, and more irritated. If you want to enjoy the winter season without having to wrap up your dry and itchy neck in a big scarf, then you’ll need to use a humidifier to freshen up your home. Humidifiers are tools that help add moisture to the air around your house and reduce the dryness usually experienced during the autumn and winter. According to Healthline, humidifiers are used to relieve dryness of the skin, throat, and nose. They are also used to help alleviate symptoms related to the common cold or the flu. 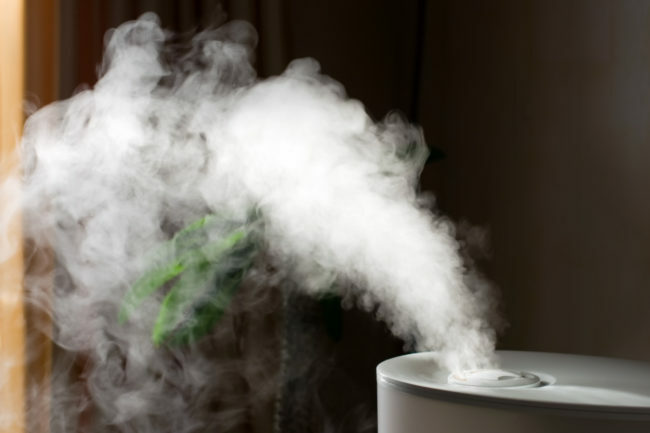 The way a humidifier works is by releasing water vapor into the air in your home. This raises the level of humidity around you. Have you ever had nose bleeds due to dry nasal passages during the winter? Well, humidifiers can alleviate this problem! Additionally, humidifiers can reduce snoring and other common symptoms of a dry nasal system. Below are a number of other significant benefits of using humidifiers during the dry, cold months. Some of the largest benefits you will find when using a humidifier include the alleviation of skin and respiratory symptoms. Humidifiers will help you if you suffer from dry skin, allergies, throat or nasal passage dryness, coughing, cracked lips, bloody noses, dry and itchy eyes, and/or sinus headaches. During the cold winter months, air is more likely to be dry and lead to worsening symptoms for the lungs, nose, lips, and skin. As such, humidifiers are necessary to keep the air moist. One study has even found that humidifiers play a role in reducing your risk of getting the flu. In the study, it was found that humidity levels above 40% quickly deactivated flu virus particles. In addition, adding moisture to the air through a humidifier can make a cough more productive. With more moisture in the airways, a cough can actually release trapped phlegm. Additionally, since dry nasal passages make snoring during the night worse, adding a humidifier overnight could alleviate these symptoms. Individuals with allergy or asthma symptoms that flare up during the winter can also benefit from humidifiers. Adding more moisture to the nasal and throat passageways will make a big difference by alleviating symptoms. Although winter is the most well-known time to use a humidifier as the weather is colder and drier, it is not the only season in which you should be using them. During the spring, there is an increase of pollen in the air resulting in more allergic reactions. Viruses may also be floating in the atmosphere and once people begin turning on their air conditioners to battle the warmer temperatures, they risk drying out the air in their home. Humidifiers can play a major role in alleviating dry air during both the cold and warm seasons. Essentially, it is useful to keep a humidifier working year-round in order to keep your skin and nasal passages from drying out. Overall, humidifiers will help your home retain more moisture and alleviate a number of health-related symptoms. Contact us to find the right humidifier for your home’s needs, whether they be seasonal or year-round. Most of us spend much of our time indoors. The air that we breathe in our homes, schools and offices can put us at risk for health problems. Some pollutants can be chemicals, gases and living organisms like mold and pests. As winter approaches and the weather slowly begins to drop, we must accept that it’s finally time to face the cold. Preparing your climate-control systems for this temperature change is vital to both saving money and preserving your system. 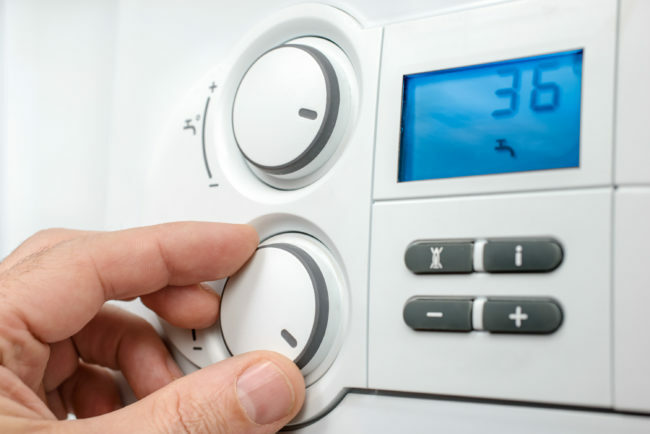 It costs money to maintain a comfortable temperature in your home or office. When your only defense against the cold is to crank up the heater, you’ll end up spending more than you need to. Here are a few helpful tips to implement in order to maintain a steady indoor room temperature this season. The cheapest heat source on the market is the one that Mother Nature provided: the sun. Although it may have traveled south for the winter, the sun still has an impact, and you can tap into its energy simply by opening your curtains during daylight hours. Houses are insulated to maintain temperature, so if you don’t let the sun in during the day then it will retain its nightly chill. Conversely, when the sun goes down, shut the curtains. This keeps the heat captured throughout the day from escaping. The whole process costs nothing except for a minute of your time. There’s a good chance that your ceiling fan takes a break during winter. What you may not have realized, however, is that they often have a winter setting. If your fan has the ability to turn clockwise rather than counter clockwise, then you can take advantage of one of its lesser known features. When the heat rises, its reversed motion will push the heat back down, thus helping you avoid having your precious heat trapped at ceiling-level where you can’t feel it. Repurposing your already existing cooling technology is a great way to avoid purchasing heaters and other seasonal equipment. Newer units should be checked no less than once every two years. Units more than 10 years old should be checked annually. 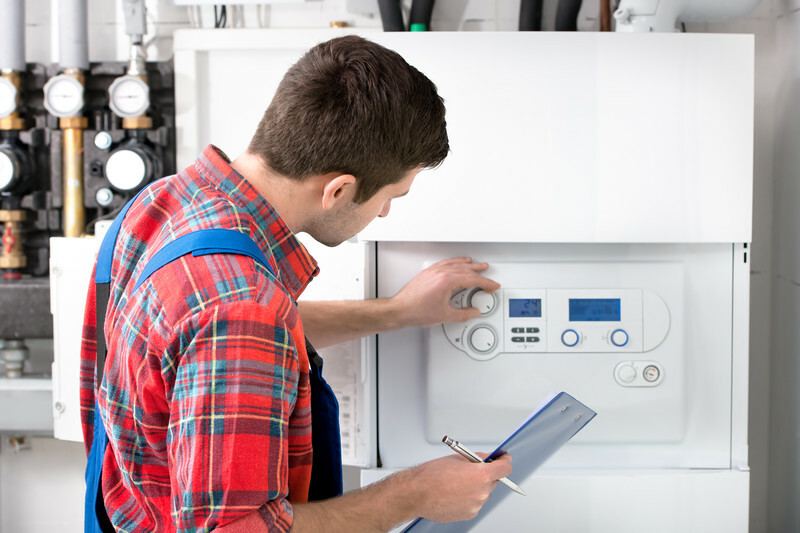 You’d be surprised at how much longer your furnace will last when it’s properly maintained. Fortunately, the cold winter months make up a small percentage of the year. The bad news is that this can make it easy to put off proper winterization. Preparing your home for seasonal changes by learning how to get the most out of your equipment is a proactive measure to save money on your electricity bill during extreme temperatures. Now that you know how to maintain a comfortable indoor room temperature, contact us for a maintenance appointment to help you make it through the cold winter months comfortably and save money in the process.